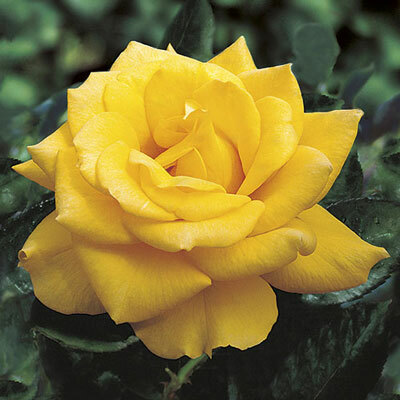 Immensely popular, Henry Fonda boasts distinctly deep yellow blossoms surrounded by deep green and clean foliage. This rose shows remarkable vigor and disease resistance all season. Introduced By Bear Creek Gardens, Inc.